Our dogs and cats give us so much pleasure but on the downside, they do tend to leave a few muddy paw prints around the place and quite a lot of their hair on the furniture, carpets and curtains. However, cleaning up after a pet is just a very small price to pay for all the good things about them. With this said most people lead extremely busy lives so knowing about clever ways to reduce the amount of fur and hair pets leave around the house really does make sense and it helps keep on top of things. All dogs and cats love to get as much attention as possible so by giving your pet a quick “once over” with a brush every day helps reduce the amount of hair they leave on carpets, sofas and other soft furniture you have around the home. Your pet will love it and brushing them means a strong bond is created – this is especially good if you have just got a new dog or cat and are in the process of getting to know them. The other advantage being that by brushing a pet on a daily basis, even if it is only a quick brush, it allows you to pick up on any injuries or painful areas on your pet’s body and of course, if there is a health issue brewing, then getting the right treatment early will help your pet make a speedier recovery. Another big bonus is that long-haired cats are far less likely to suffer from hair balls if they are brushed on a daily basis. These days you can buy some extremely good washable lint rollers which are great tools when it comes to cleaning off dog and cat hairs from furniture around your home and car seats too. They come in all sizes so a small one for the car is a great idea and a bigger one for the house makes life a lot easier all round. It certainly helps reduce the risk of being covered in your pet’s hairs whenever you sit down and prevents any guests from being covered in them too! 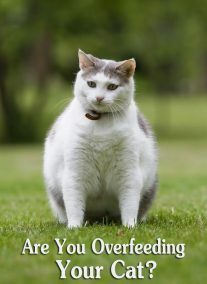 Most dogs and cats soon find a “favourite” spot or two around the home which is usually an armchair, sofa or both. Consider placing a soft and comfortable pet blanket on their favourite snoozing spots so they lie on them instead of the furniture! Blankets are much easier to keep clean than upholstered furniture because you can just put them in the washing machine when they need to be cleaned. Some people like to use slip-covers on their furniture because they are easy to put on and take off with the added advantage of them being washable. 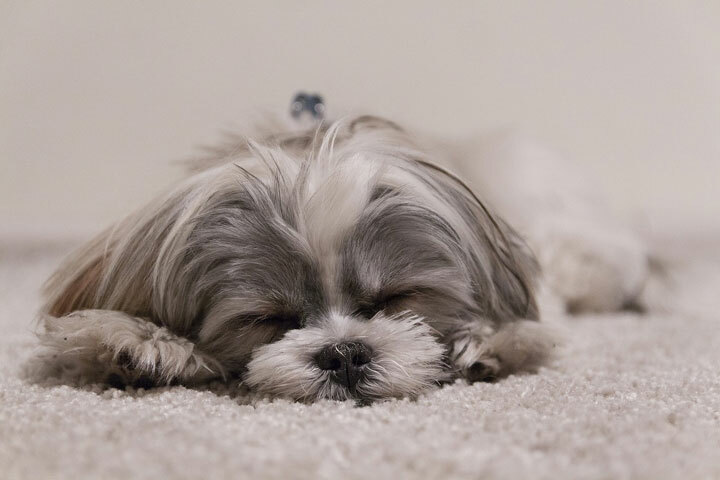 If your home has lots of wooden floors, it can be hard work trying to stop pet hair from spreading throughout the house. One solution is to place a few stylish rugs around so they catch the majority of the hair. All you have to do is shake them outside and vacuum them regularly to keep the rugs clean and pet hair-free. To stop rugs from slipping on the hardwood floors you can place special non-slip underlays which work really well at keeping them in place. Apart from a few sticky lint rollers, there are other cleaning items that all pet owners should have in their tool-kits. Some of the best cloths boast being electrostatic which are perfect for picking up hair from hardwood and other hard floors. Then of course, these days most of the big brands have special vacuum cleaners that are specifically designed for people with pets! 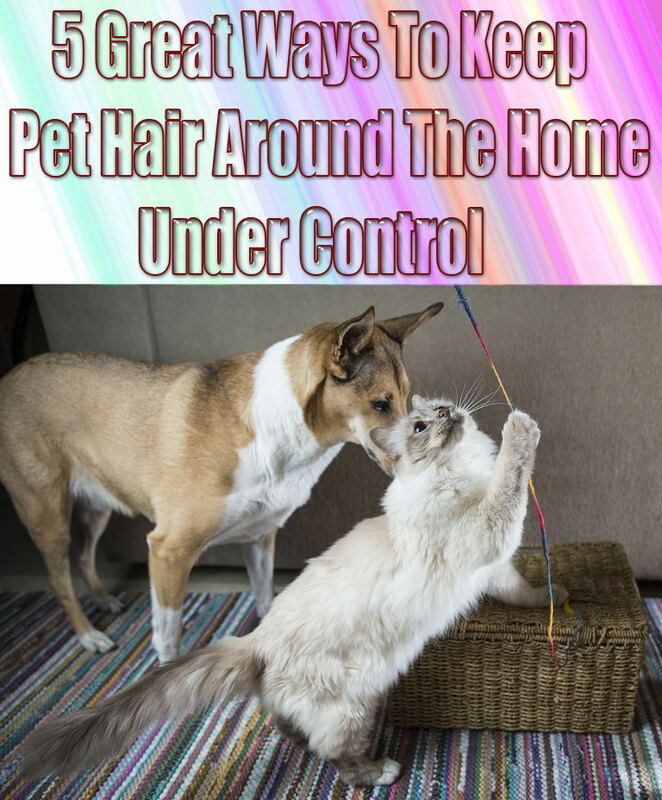 It is definitely worth investing in one because they make life a whole lot easier when it comes to keeping a home pet hair-free. There are a few vacuum cleaners around which have special attachments that you can actually use on your pets although not all dogs or cats like it – but some adore it! If you are going to use any sort of vacuum attachment on your dog or cat for the first time, you need to introduce them to the idea very slowly or you may end up frightening them or even injuring them! If your pet says a very definite “no” to being “vacuumed”, then you should not insist but rather use a brush to get rid of all the surplus hair they may be shedding. Rubber Gloves – This is the cheapest and most effective way of removing hairs from fabrics and carpets. Just pop on rubber gloves, lightly dampen under the tap, then rub over the fabric/carpet. You’ll be amazed at how many hairs you’ll gather up! Keep an old towel by the front door – Dogs have a habit of finding the dirtiest spots to roll, don’t be caught out by having to walk your muddy wet dog through the house. Leave an old towel by the front door so you can give your dog a rub down before their paws hit the carpet. Clothes – For larger quantities of hair, try throwing your clothes in the dryer, along with a dryer sheet for 10 minutes. Or, use a dryer ball for a chemical free solution. The movement and softener loosens hair, which winds up in the lint trap. Adding liquid water softener to the washer helps too. simply washing your clothes with a bit of white vinegar (about ½ cup to ¾ cup should do the trick) can be an effective and easy way to make sure your clothes come out of the laundry pet-hair free because nothing is more frustrating than finding fur in your clothes even AFTER you’ve done laundry. Puppies and kittens need to be introduced to the idea of being regularly groomed so they end up really enjoying the special treatment you give them on a daily basis. Most pets love the attention and will in fact, look forward to it. You could also teach your dog to ‘fetch’ their brush when it’s time for a grooming session. You could make it part of their daily routine when you get back from a walk or when they come back in the house after having been in the garden. All animals love a routine in their lives so making a quick grooming session part of it works really well and it helps keep the pet hair problem down in your home!